Hyderabad (24-05-2018): With an aim to provide more opportunities for youngsters to showcase their talents, Bangalore-based Star Book Media Pvt. Ltd, one of the leading casting, media and infotainment companies in the country, has joined hands with Hyderabad-headquartered Indywood Talent Hunt (ITH), a premier national-level platform to discover creative talents in various artistic and cultural domains. ITH will be held as a part of the Indywood Film Carnival, the flagship event of the 10 billion US dollar Project Indywood. 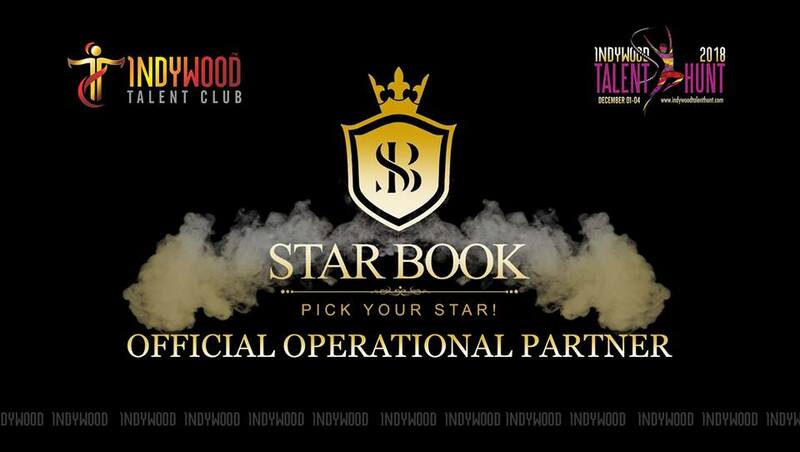 As part of the agreement, Star Book will promote two national-level competitions of Indywood Talent Hunt 2018 (ITH 2018) – Still Photography and Short Film Making as Operations Partner. The cash award of Rs. 1 lakh will be rewarded for the winners besides an opportunity to enter the film industry. The competitions are managed by Indywood Talent Club, a network of student clubs from across the country, to promote arts and culture through events. The fourth edition of Indywood Film Carnival will be held at Hyderabad from December 1st to 5th 2018. The event shall comprise of the All Lights India International Film Festival (ALIIFF), Indywood Film Market, Investors Meet, Excellence Awards and an array of entertainment programs. Several celebrities, social influencers and delegates from the film, advertising and media industries will attend the ITH 2018.